More than half of all Americans will have diabetes or prediabetes by the year 2020, at a cumulative cost of $3.35 trillion unless something drastically changes with U.S. health trends, according to a new analysis conducted by UnitedHealth Group's Center for Health Reform and Modernization. Study investigators say diabetes and prediabetes will also account for an estimated 10 percent of total health care spending by the end of the decade at an annual cost of almost $500 billion. That's up from an estimated $194 billion in 2010. The report, "The United States of Diabetes: Challenges and Opportunities in the Decade Ahead," was unveiled this week, because November is National Diabetes Prevention month. The study offers solutions designed to improve health and life expectancy, while also saving up to $250 billion over the next 10 years. Approximately 26 million Americans have diabetes. 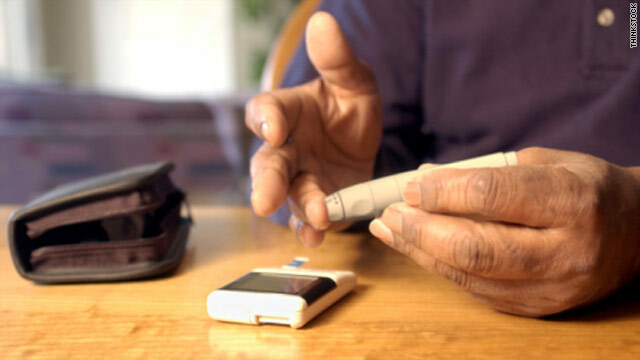 Diabetes is one of the fastest growing diseases in the country, according to the American Diabetes Association. Experts predict that one out of three children born in the year 2000 will develop diabetes in their lifetimes, which will raise their risks for heart and kidney disease, nerve damage, blindness and limb amputation. An additional 67 million Americans are estimated to have prediabetes. In prediabetes, there are often no symptoms. In fact, the ADA notes more than 60 million Americans do not know they are on the verge of developing this dangerous illness. Just last month, the Centers for Disease Control and Prevention released a report projecting that one in three Americans would have diabetes by 2050. The CDC noted the main contributing factors for the increase were an aging population, with diabetics living longer, an increase in the number of at-risk minorities, and an increase in the number of obese people in the U.S.
“Obesity is a significant contributor to the new cases of diabetes. It is certainly a factor,” Ann Albright, director of the CDC's Division of Diabetes Translation tells CNN. The most recent report by UnitedHealth addressed a number of strategies to combat diabetes over the next 10 years, focusing primarily on obesity, creating early intervention program to prevent prediabetes, instituting stronger medication programs and educating Americans on lifestyle changes they can make to combat or control their diabetes. "There is nothing inevitable about these trends," said Simon Stevens, executive vice president, UnitedHealth Group, and chairman of the UnitedHealth Center for Health Reform and Modernization. "What is now needed is concerted, national, multi-stakeholder action." "Making a major impact on the prediabetes and diabetes epidemic will require health plans to engage consumers in new ways, while working to scale nationally some of the most promising preventive care models. Done right, the human and economic benefits for the nation could be substantial." THE CAUSE OF DIABETES: Diabetes is the direct cause of Food chemicals not fast food. The Food today has been changed and IS filled with Drugs. It is a proven fact! Don't just make baseless claims about the cause and prevention of diabetes. Type 1 and Type 2 are almost unknown in countries that eat a plant based diet – read "The China Study". worked out – a vegan diet is the answer. The need for carbohydrates in our diet is Zero. Blood cells and brain cells are some of the only cells that need glucose. The body is a most marvellous chemical laboratory and can make glucose from Proteins or Fast as needed. So eating a diet consisting mainly of vegetables, proteins and good fats will reverse type II diabetes. Food Chemicals are the cause of the diabetes and obesity crisis NOT MCDONALDS! The one thing which bothers me about articles like this is that most don't even acknowledge the fact that there are two forms of diabetes. "Diabetes" now means Type II (formerly called adult-onset) which is almost completely preventable and often maintainable without insulin shots. Most people don't even seem to realize that the other type – Type I (formerly called juvenile diabetes) is absolutely NOT preventable. It iis incurable, and has absolutely nothing to do with diet, exercise, or obesity. I'm beginning to think that those who write these articles don't even understand the difference. Yes, Type II is an "epidemic" and I will refrain from any comments about people needing to blame themselves for their conditions. But, this article lacks basic information. The problem is too much food. The problem is too large serving sizes. The problem is "clean your plate" mentality. When I was a boy I worked on the family farm. Corn yields in a good year were 80 bushels per acre. After harvest, livestock were turned out into the fields to fertilize the soil. Then synthetic fertilizer was invented. Corn yields jumped to 120 BPA. The science has increased yields now to 180 BPA. Corn prices are supported by the powerful Midwest farmer lobby no matter how high the yield. Corn is used to fatten livestock making the meat tender and unhealthy. It is used to make high fructose corn syrup which sweetens at least half of our diet. Baskin Robbins Large Chocolate Oreo Shake contains 263 g sugar and 2,600 calories. That is one shake for one person at one sitting! Big Macs now have 4 patties, one for each chamber of your heart! A full grown male gorilla would have trouble finishing an entire entre at the Olive Garden. Primitive man hiked and hunted sometimes for days to get just enough food to survive. We can get in our car and drive to an “all you can eat” restaurant. The problem is too much food. Ya I agree with that somewhat. It never ceases to amaze me how much food they serve in restaurants in the States – no wonder there's so many fat people there. post script: If you grow, manufacture and import enough food for 700 million people into a country with a population of only 308 million people you are going to have a problem. When I was a young doctor (1960s) there were few obese people. Diabetes was mostly type one (pancreas fails) in kids. The type 2 diabetes we called "maturity onset diabetes" seen over the age of 50 or 60. Now we see type 2 diabetes in kids. In 2004 the government launched the “F as in Fat” program to combat obesity. At every annual report including 2009 things are getting worse. 20% of 4 year olds are obese. Not overweight, obese!! As long as we live in such an obesogenic society our only hope may be stomach stapling at birth. Another factor that has to with this is the portion size of what an average American eats. In other countries the people eat less of a portion size. And this is why so many Americans are overweight. When most Americans see the real serving size of food in a restaurant most go WOW! This is small! Did anyone know that the small size french fries at McDonald's is a little more than the serving size for french fries in a whole day. I'm happy that they got rid of the super sized size. Всем привет, Это будет последней каплей. "123 Get Samples" is promoting a new line of detergent, tooth paste, lotion etc by giving away free samples. It’s more of the “try it before buy it” marketing model and who can resist a free useful household product like detergent? This free sample is limited to one per household and only available while supplies last. As a practicing doctor identifying people with Pre Diabetes is a real challenge. First we have to know who they are and this is not entirely intuitive. Using the PreDx test has helped me identify these individuals (www.predxdiabetes.com), but there is a tremendous challenge to motivate people to change their lives. Here is one way I have tried to do this (www.7venhealers.com). Would love to get your thoughts. or even I achievement you get admission to persistently fast.